Nebraska’s unrelenting Cornhuskers marched 67 yards into immortality to climax a brilliant Orange Bowl victory, 17-12 over Louisiana State. 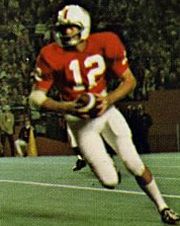 Trailing 12-10 as the fourth quarter opened — after leading early, 10-0 — Coach Bob Devaney’s Huskers passed and ran over and through the defensive titans of the nation for the winning touchdown. 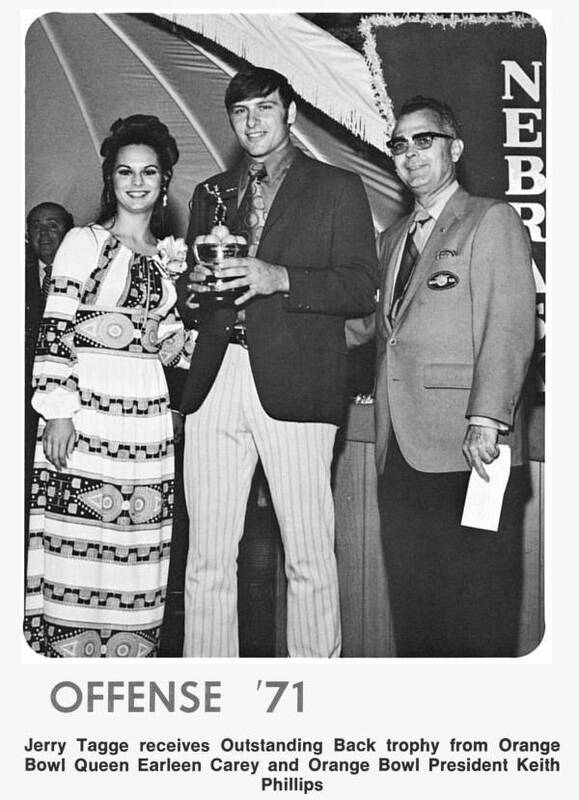 It came with 6:10 gone in the final quarter when Jerry Tagge, the engineering genius of the night, clinched the Most Valuable Back Trophy by plunging over from the one and then extended his arms high over the pile — just to make sure. With victory came the certainty that Nebraska would be voted No. 1 by AP and almost all of the other pollsters. No. 1 Texas and No. 2 Ohio State both lost their bowl games, leaving the door open to Nebraska.